Happy birthday Ayisha izza - birthdaywishes2- Birthday wishes sms,birthday wishes images,,special birthday. 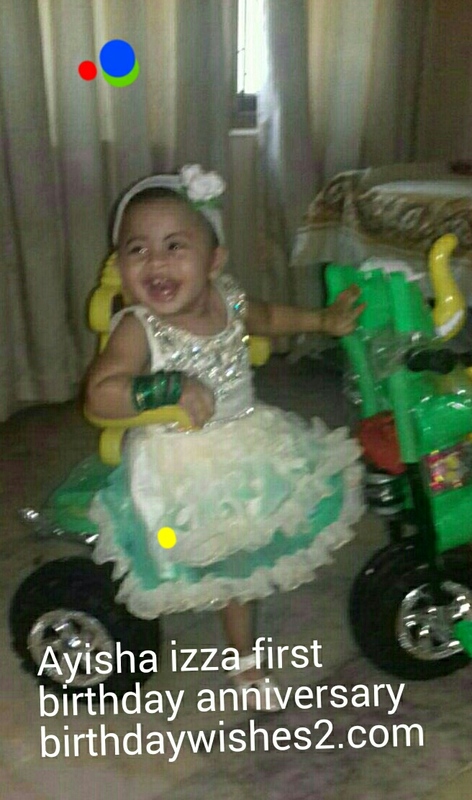 Today Ayisha izza first birthday anniversary. She born 28th June 2016. Her father is working at Qatar airways in Qatar.